Click on any picture below for a larger view. This entry was posted in After and tagged carpet, ceilings, dining room, doors, fans, floors, guest bath, guest bedroom, hand-scraped, hardwood, interior, laundry room, lighting, moulding, office, painting, Sherwin-Williams "Sand Dune", stairs, trim, VIP Services, walls. 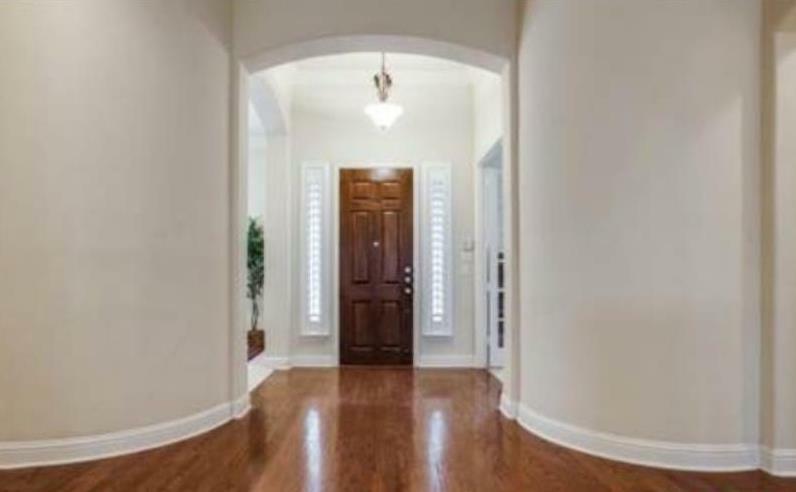 This entry was posted in After and tagged ceilings, doors, fans, floors, hand-scraped, hardwood, interior, lighting, master bath, master bedroom, painting, Sherwin-Williams "Sand Dune", tobacco, trim, VIP Services, walls. This entry was posted in After and tagged ceilings, doors, floors, hand-scraped, hardwood, interior, lighting, living room, painting, Sherwin-Williams "Sand Dune", stain, stairs, tobacco, VIP Services, walls. This entry was posted in After and tagged "Emerald Pearl", appliances, conveniences, counters, countertops, faucets, fixtures, floors, granite, hand-scraped, hardwood, HDS Stoneworks, interior, kitchen, LG, lighting, moulding, refrigerator, Sherwin-Williams "Sand Dune", stainless, trash chute, trim, VIP Services, walls. This entry was posted in During and tagged Belvedere, during, floors, hand-scraped, hardwood, interior, tobacco, VIP Services.